Panthera tigris A disappearing beauty. 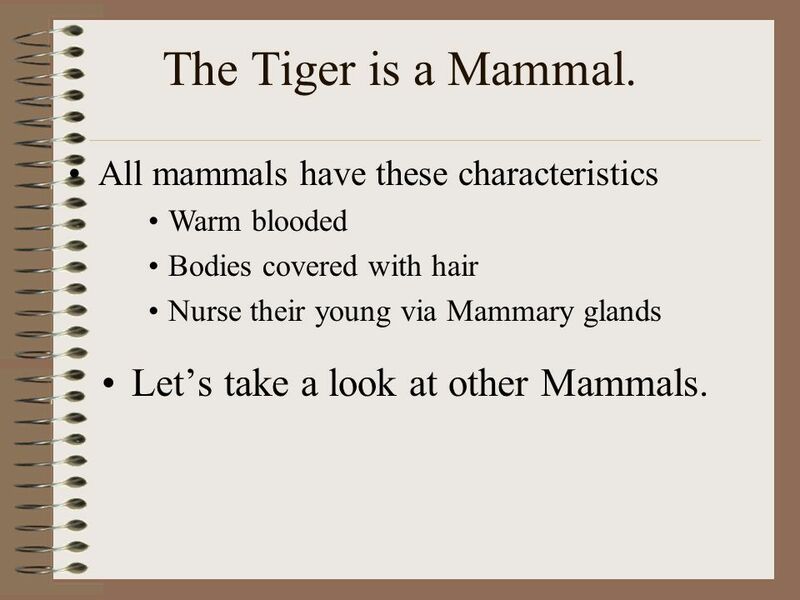 2 The Tiger is a Mammal. 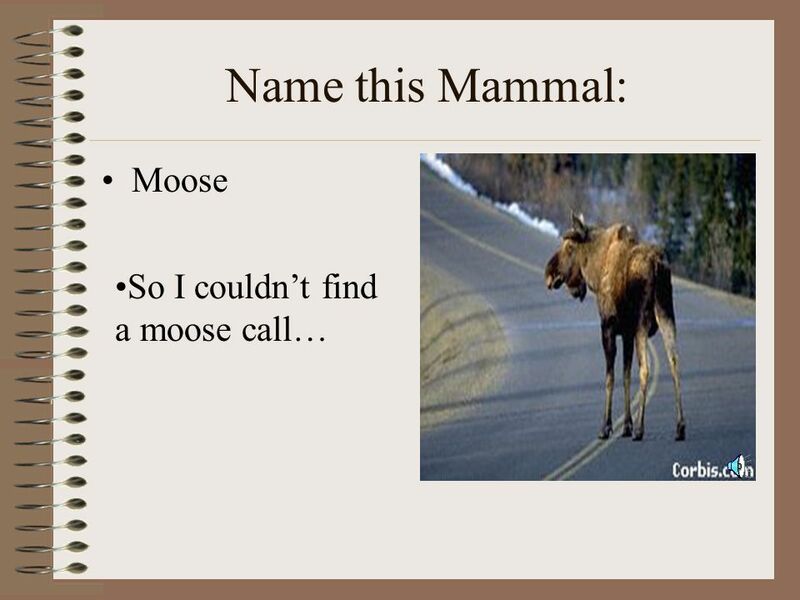 Let’s take a look at other Mammals. All mammals have these characteristics Warm blooded Bodies covered with hair Nurse their young via Mammary glands Let’s take a look at other Mammals. 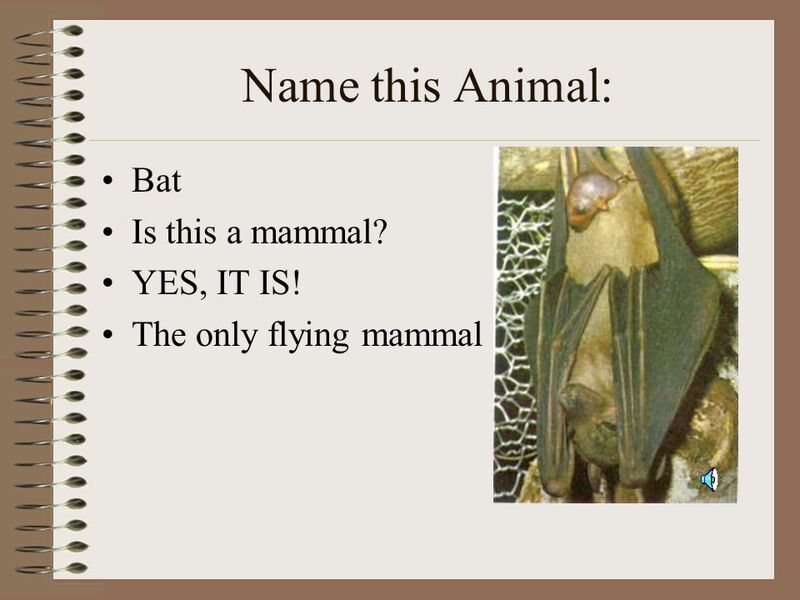 6 Name this Animal: Bat Is this a mammal? YES, IT IS! 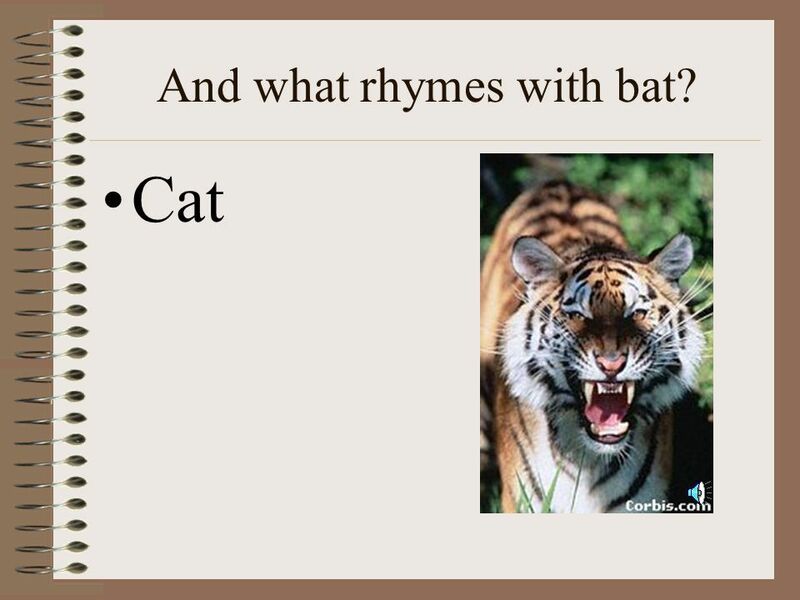 7 And what rhymes with bat? 11 How many tigers are there? 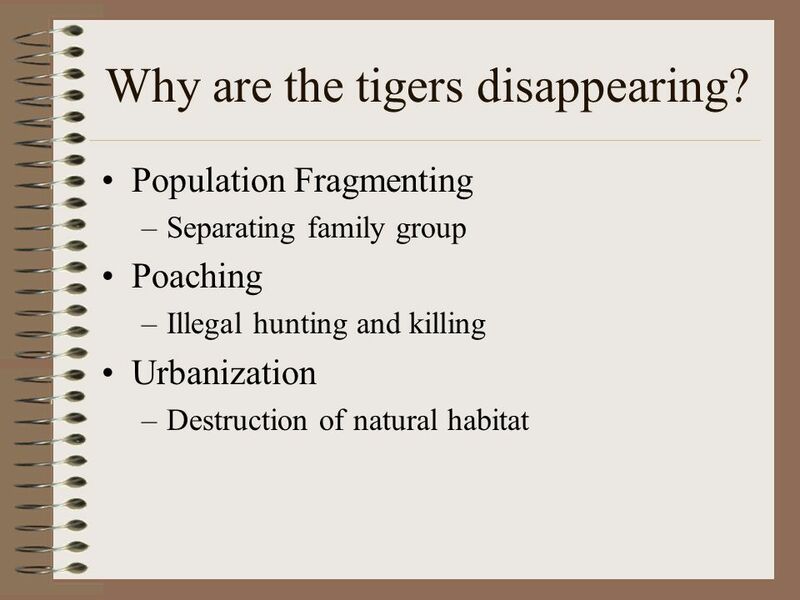 12 Why are the tigers disappearing? 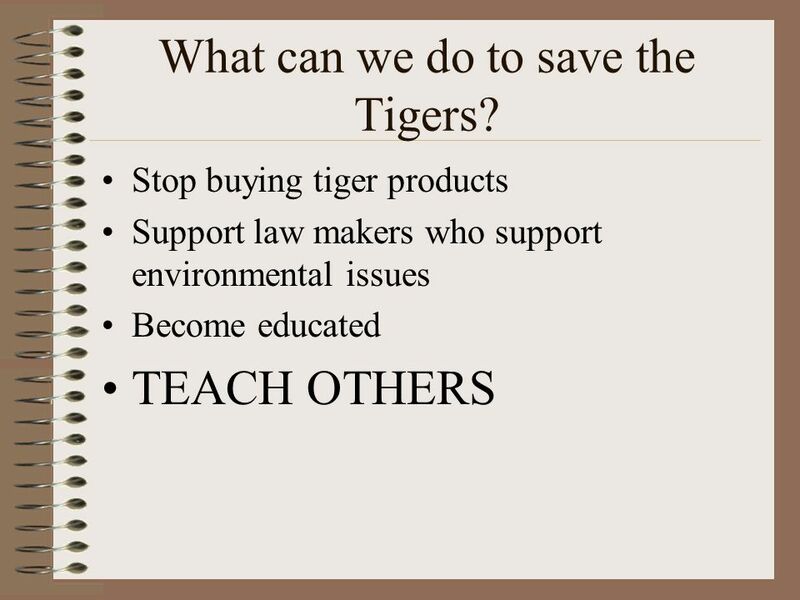 13 What can we do to save the Tigers? You will need to complete 4 adventures. You choose the 4. 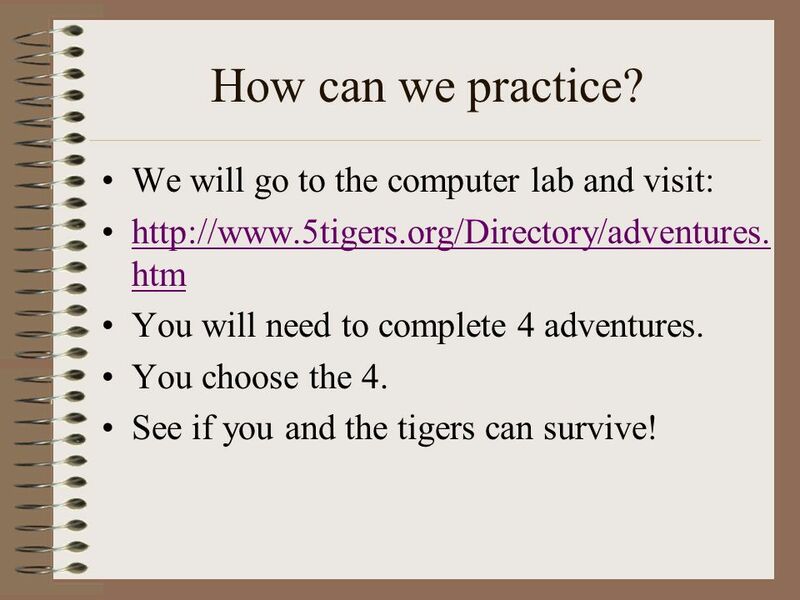 See if you and the tigers can survive! 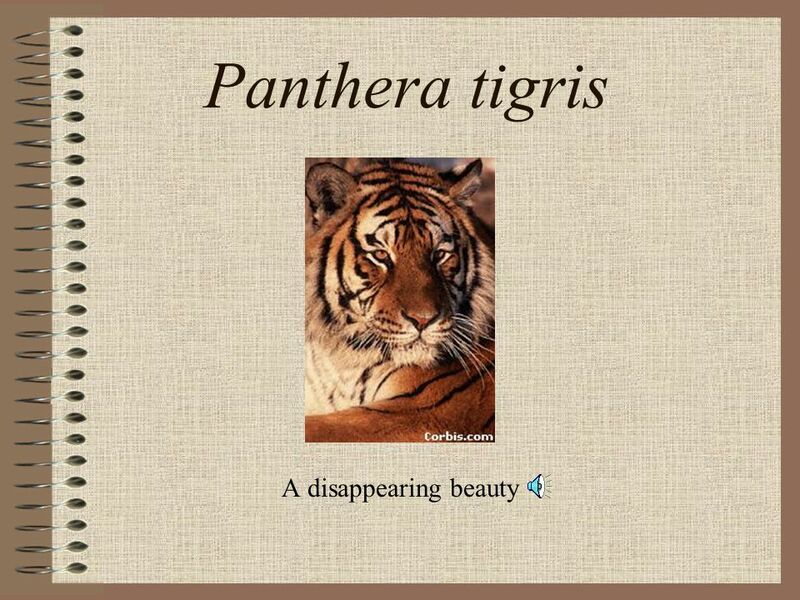 Download ppt "Panthera tigris A disappearing beauty." 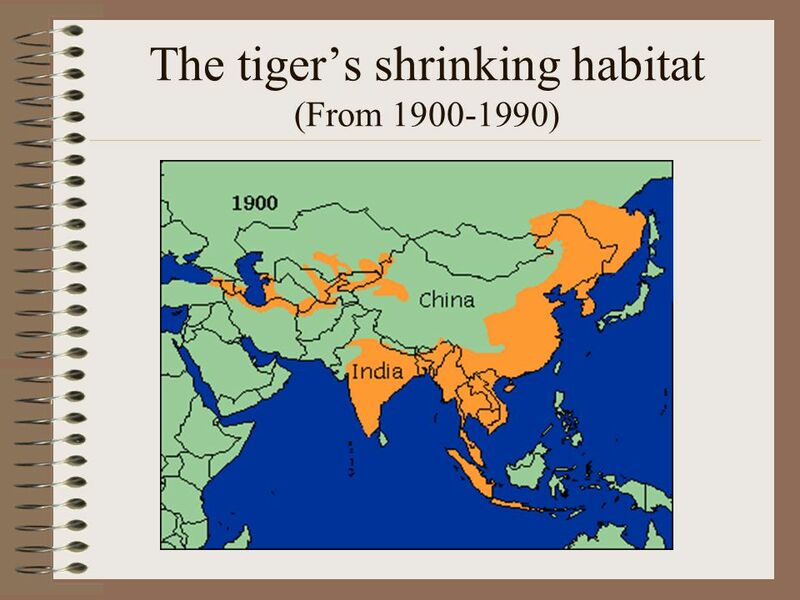 Tigers in Trouble By Callie Cochran 100 years ago there were 8 different kinds of tigers (subspecies) - there were over 100,000 wild tigers in the world. Tiger And Panther Nicole and Jacob. Classification of The Lion Completed by Kerryn Swann, 7E. 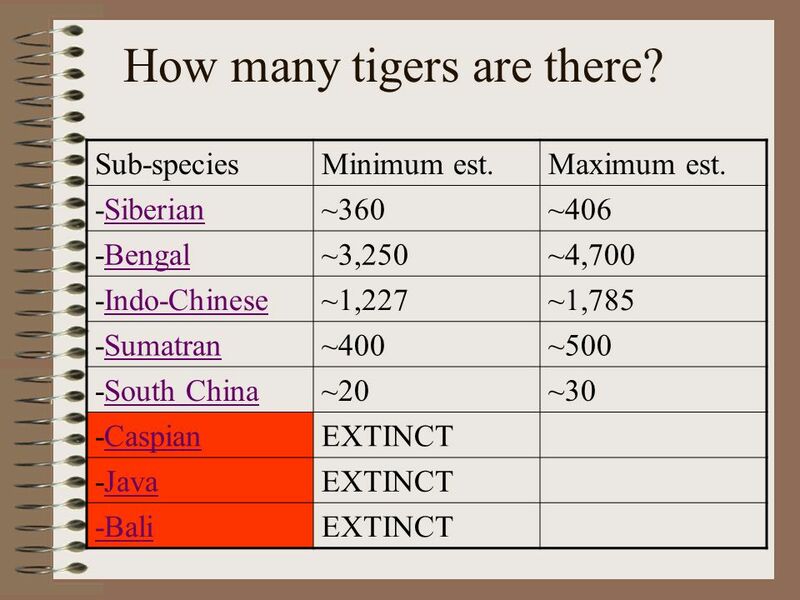 Sumatran Tigers Endangered Animals Report By: Bryan and Chase. Eastern Puma Concolor couger Olivia Parker. 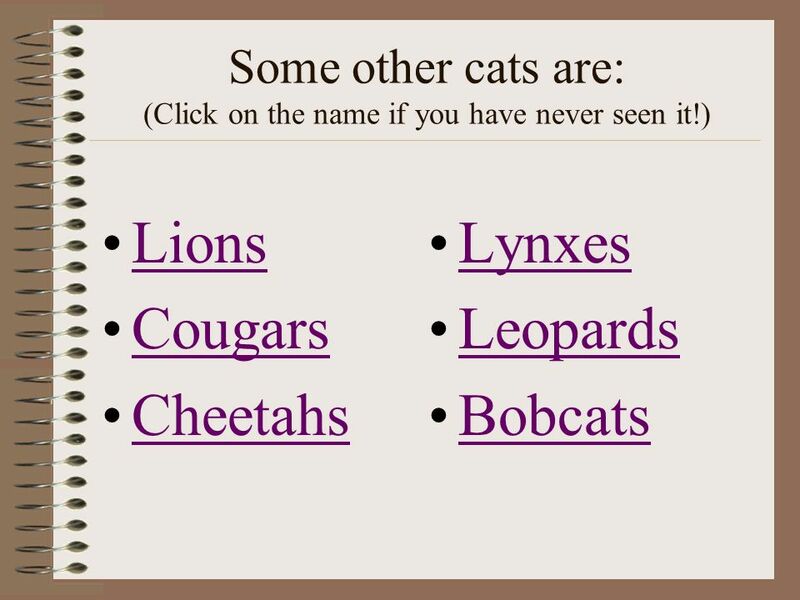 Description The Eastern Puma Concolor couger is tan with a lean body shape They purr unlike all other big. BY: SILAS. 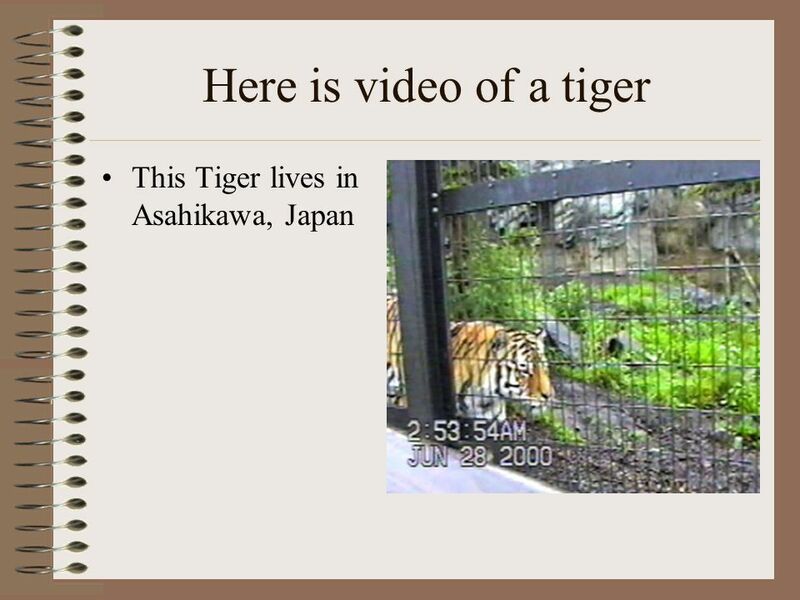 AGENDA  tigers groups  Where tigers live  How tigers ARE born & raised  how tigers adapt to environment. Giant panda Golden snub nose monkey South China tiger Yak By Ruby Alton. By: Kenny, Anders, and Jacob. 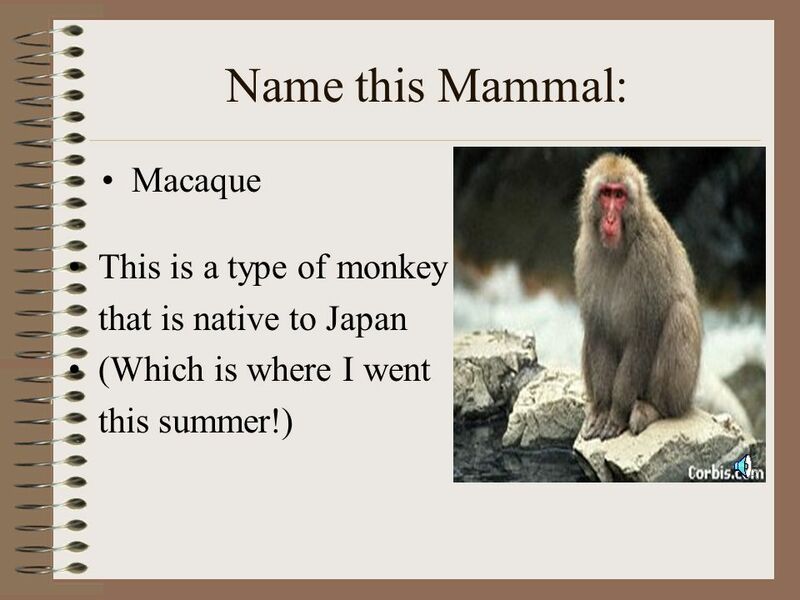  What causes primates to become endangered/extinct yearly?  KP. WHY ARE BEAUTIFUL SPECIES BECOMING ENDANGERED ? Beautiful and wonderful species are getting endangered just because of humans cruelty and greediness. African Wildlife By Scarlett Foster. Lions  Scientific name: Panthera Leo. 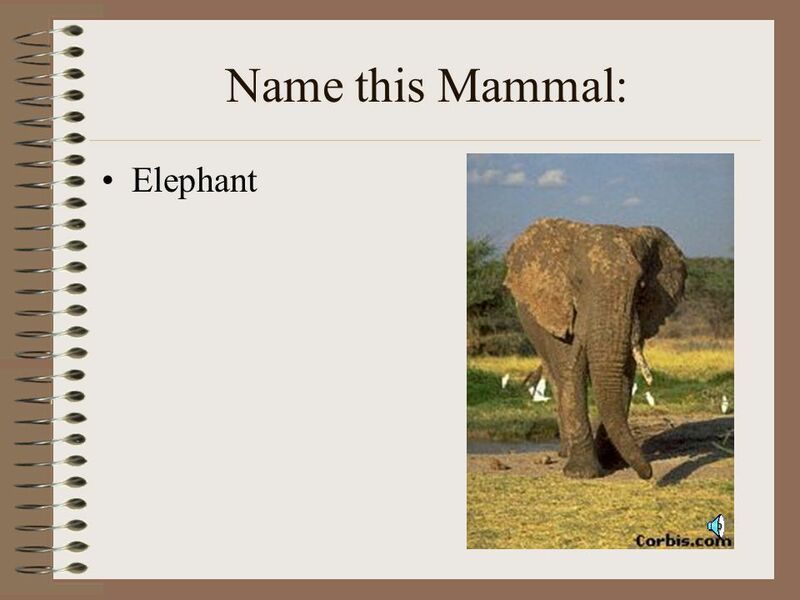  Classification: Mammal  Description: A lion has a sandy coloured body. White Tiger By: Kristen Reeves. WHAT THEY EAT? These animals mostly eat wild pigs, cattle, and different types of deer. WHAT HURTS THEM? The reason why. By: Krystal Almaraz Bengal Tiger!!!. Appearance!!! The Bengal Tiger is one of the largest cats in the world. The males may reach lengths of 3 meters from. Mammals Characteristics By: Will Reynolds. Mammals Nurse their young Mammals have organs called Glands that secrete various substances needed by the animal. Unit 4 Wildlife Protection Defination of wildlife animals or plants which live or grow in natural conditions Look at some pictures.